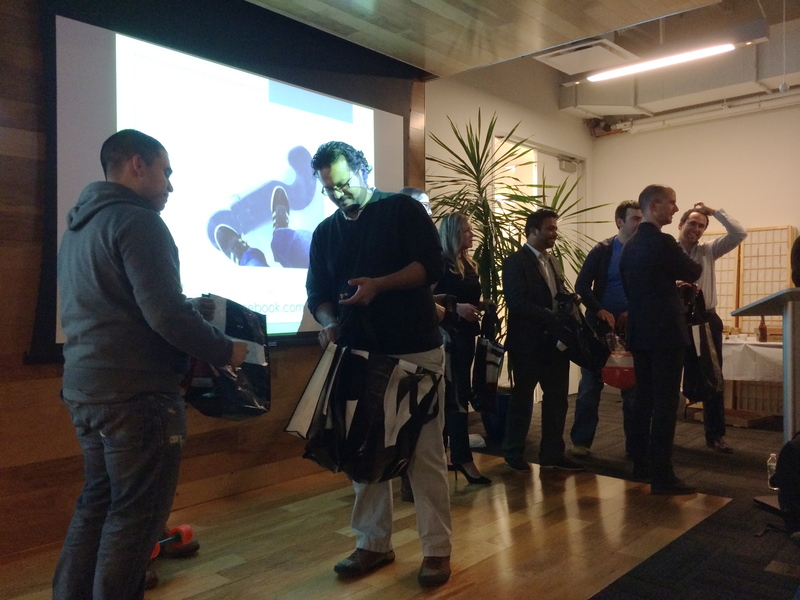 This week the event hosted at eBay. Nice space, but the event is out growing the space and the do not allow us to stay there and network after the event ends. When the event ends we have to leave. It is damn hot there. They need to turn on some AC when an event is happening there. 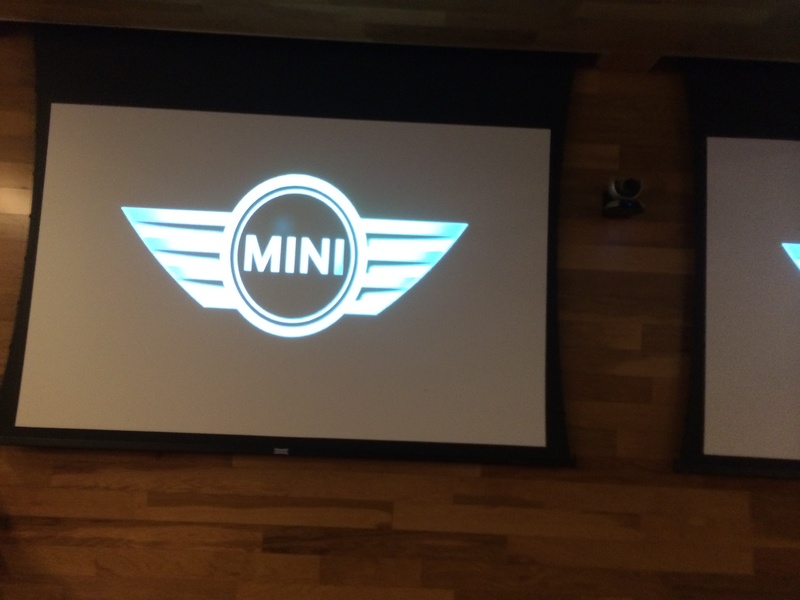 Mini sponsored a hardware presentation competition in partnership with the NY Hardware Meetup. Last month contestants submitted product ideas that focused on improving life in the city using connected devices, infrastructure and services that make life enjoyable, more secure or more sustainable. 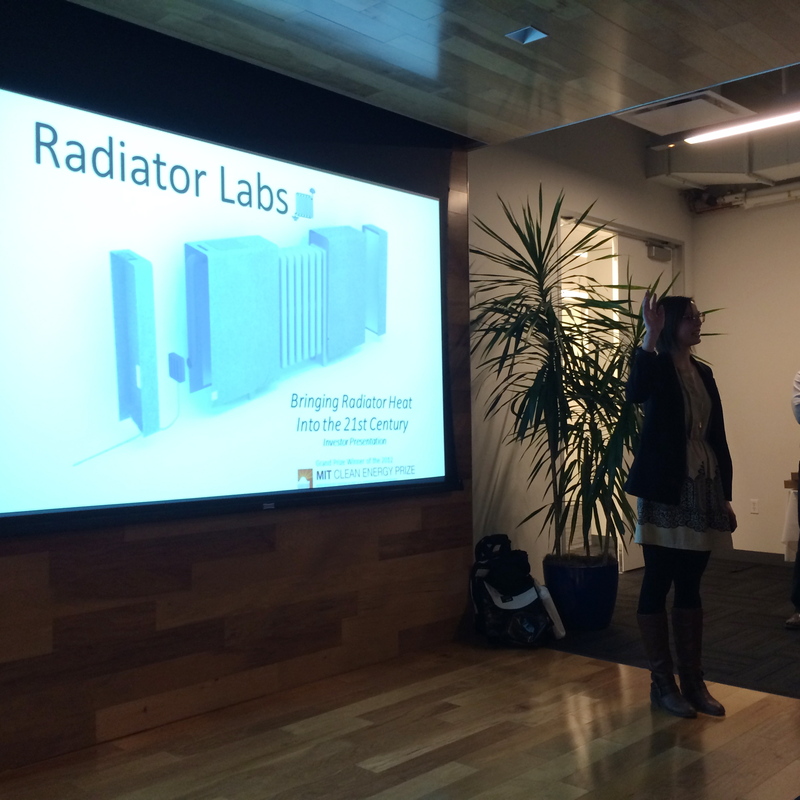 Radiator Labs: A cover for your radiator that can solve the overheating problems in your steam-heated NY apartment. No more opening up the windows. 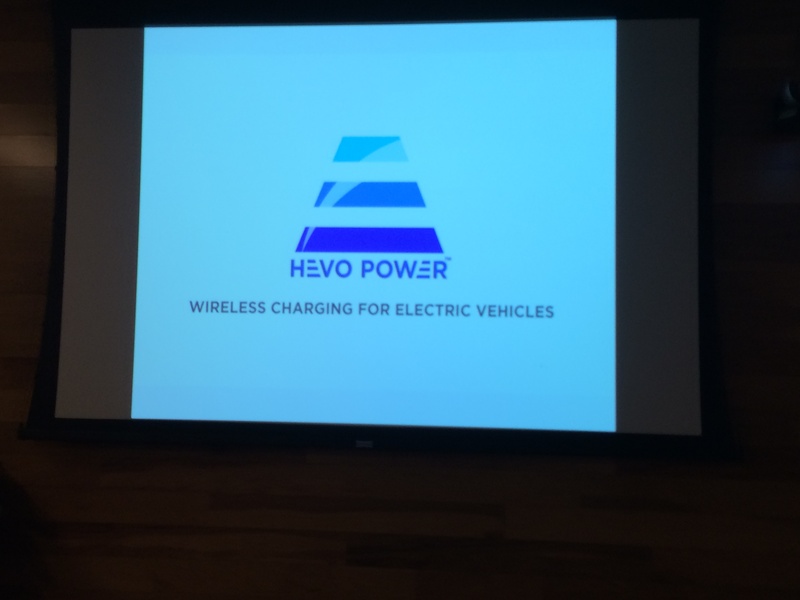 Hevo: Wireless electrical charging for commercial vehicles. 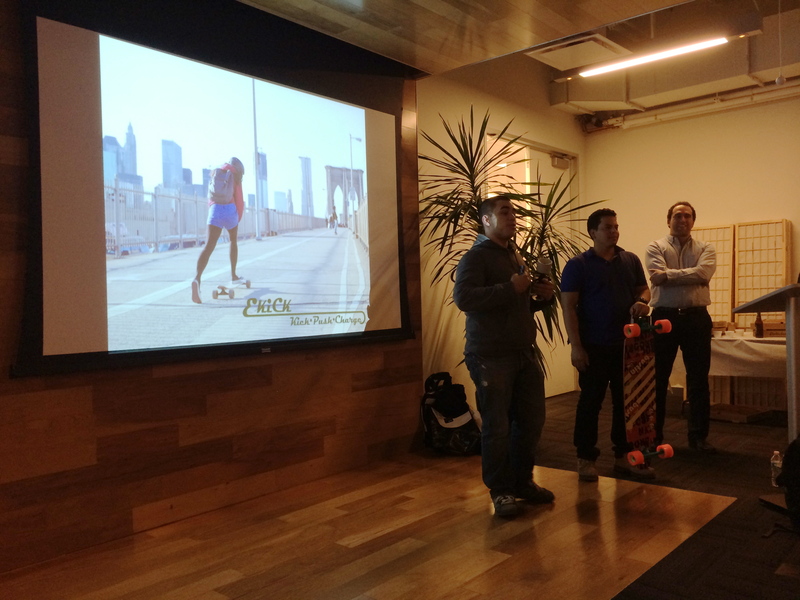 eKick: Charge your battery while cruising on your long board skate board. Enertiv: Provides a hardware and software solution that is inexpensive and smart that monitors electricity usage in your home or building. They use the data they collect to recommend ways to save energy and improve ROI. First up was Steven Monks, COO of Hevo Power. I have met these guys before, but have never seen them present. The presentation was good, but I wish you could see a live demo of their product. 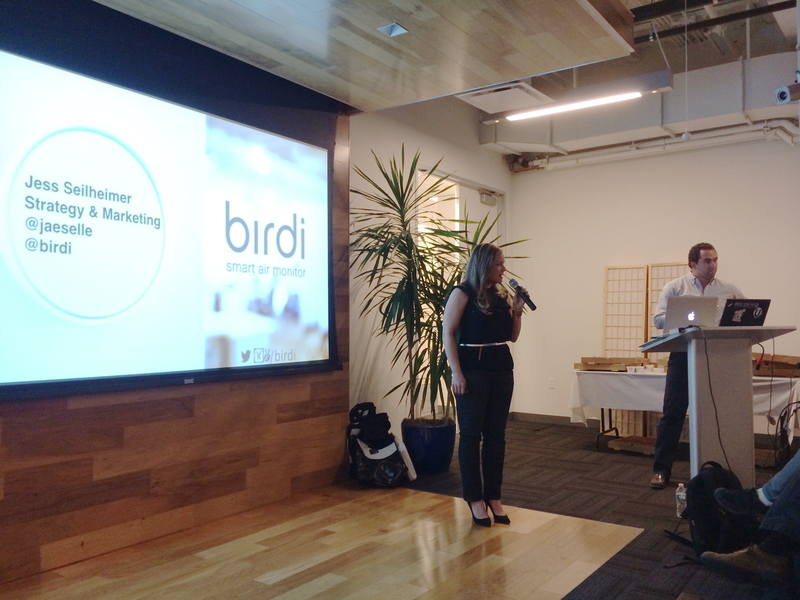 Next up was Jess Seilheimer, Strategy & Marketing of Birdi. Birdi is an interesting product that is a combination air quality monitoring system and fire alarm system. In the long run Birdi wants to give you knowledge from the information they gather. Such as open a window you have too much Co2 in the air. They are in direct competition with Nest’s Nest Protect product. I have met the founders before and it was great to see their progress and their presentation. It would have been great to have seen a demo up close. They did show a video, but I like the live demos better. 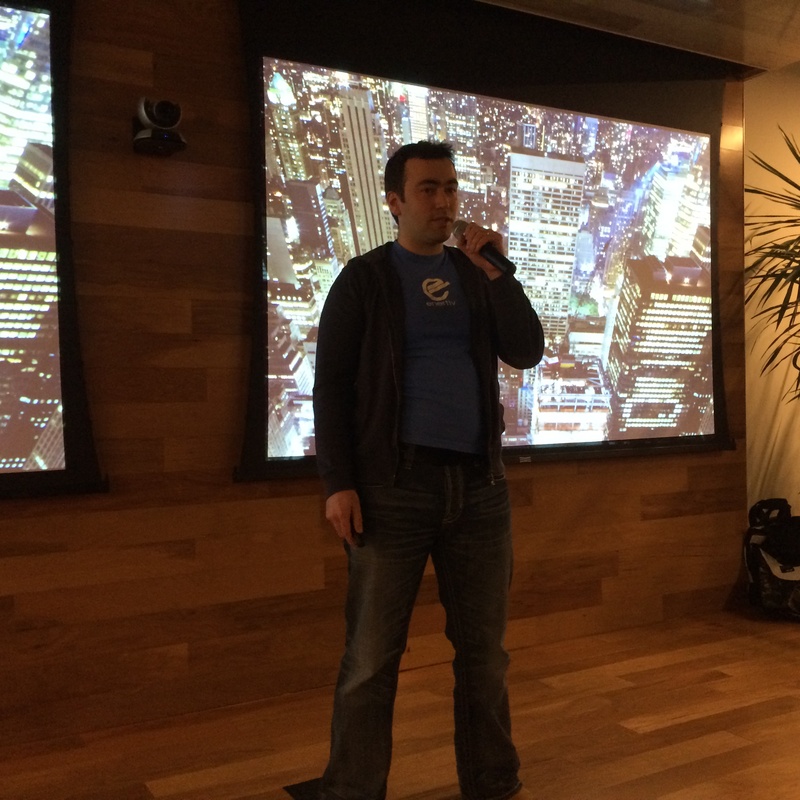 Pavel Khodorkovskiy Co-Founder of Enertiv was up next. Enertiv is part of the R/GA TechStars Connected Devices Accelerator . Wow his presentation was amazing. His execution was perfect. The graphics and animation were subtle and yet place at the right time. After the event I asked Pavel about it. R/GA helped put the presentation together and he had some great coaching from TechStars. It really pays off. Again it was flawless. Next up was Meg Sutton Data Scientist from Radiator Labs. She gave a nice statistical presentation that had graphs showing the before and after of using their product. I like the idea of the product, but when asked how much it costs, $270, I thought it cost too much money. Their competition is the ease of opening a window, which cost tenants nothing. Most, if not all, rentals in NYC include the heat and hot water. So why spend that amount of money on a rental. If however you owned the property and using the product would save you money on the heating bills, then yeah buy it. I have seen products like this before. The problem they face is convincing the landlords to get the tenants to use the product. All in all I like the idea and technology behind it, but it is not cheap when compared to fans and opening up a window. It would have been nice to have seen the product up close. The last presentation was from Ivan Estevez and Aulio Diaz from eKick. I talked with them after the presentation. They are undergrad engineering students at City College and this was their first time presenting their product. They did a great job. I could not believe it was their first time. The crowd loved them. To my surprise they have working prototypes with them to show. Very cool. Now the crowd was asked to choose the winners. I wish they used a product like EasyPoll. People were voting twice and in some cases three times. They used the old manual counting of the hands method. It was fun and jovial, but not exact. There was a tie between eKick and Hevo Power. They asked everyone to vote again. The winner of the “Hardware Making Cities Better” Competition Sponsored by Mini was…eKick. Wow a first time presenting team won. That was awesome. I have to say I was a little biased because the eKick guys are from NYC. The Bronx. Home town team has done good. Check it out. I have more pictures of the event below. Sorry for the low light conditions, but you should make out the slides and the speakers ok. I did my best to caption the images and make adjustments to the images. Enjoy.